What could be better than being a guest in the palatial ‘home’ of a royal? When Prince Jefri Bolkiah, member of the Brunei Royal Family (BIA, Brunei Investment Agency) purchased the Hotel Bel Air in Los Angeles, California, they closed down this landmark for over 2 years to remodel the already posh property. According to wiki, “His elder brother is the Sultan of Brunei, Hassanal Bolkiah. While Prince Jefri is known for his extravagant lifestyle, he has assisted in creating a stunning portfolio of the finest hotels, http://www.dorchestercollection.com His personal holdings (were at one time) a huge art collection, the British jeweler Asprey, The New York Palace Hotel, The Beverly Hills Hotel, also in Los Angeles and Plaza Athénée in Paris.” Without digressing into the mystery of this backstory, suffice it to say that the level of taste is beyond extravagance. The 3 most adored guests are still the gems of the Swan Lake in the picturesque front lawn. 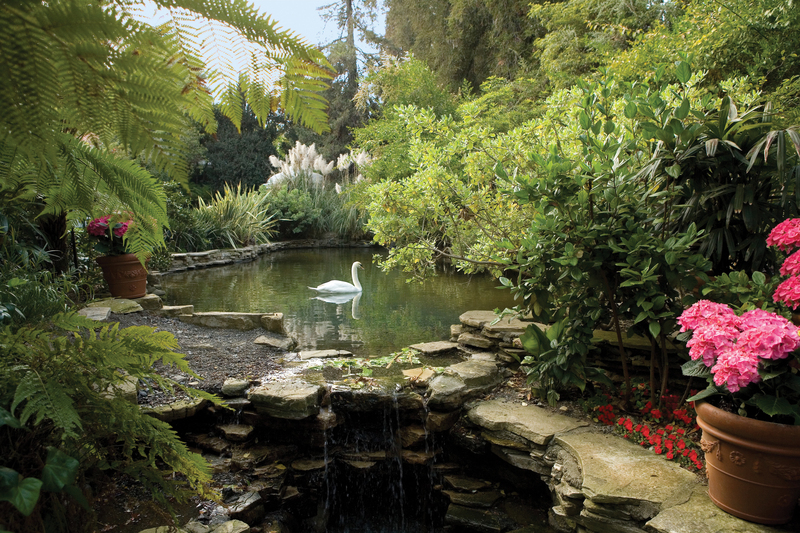 The original vision of “creating a natural California oasis, planting palms, coastal redwoods, ficus trees and perennial blooms” are still the focal point. Sun worshiping at the shimmering oval-shaped pool is still a private affair. The Celebs still love the secluded privacy and anonymity. When it opened in 1946, Hollywood flocked to the see and be scene at the fresh and luxe retreat. Even in the glam era, Hotel Bel-Air was a haven for camera shy celebrities including Grace Kelly, Jackie Gleason, Cary Grant, and Marilyn Monroe, served celebrities, heads of state and dignitaries. It is still visited by the uber rich and famous. During the Academy Awards week, 2013, a couple of award nominees had their hair coiffed by Sam Kavenchy at the exclusive salon, Joseph Martin. One of the nominees sported a totally new look and when his name was announced as the winner, he was almost unrecognizable from his powerful character role in the academy award winning film. Another winner also had his hair styled by Sam and they both were beaming with their new, award winning looks! So if you intend on winning an Academy Award, you should definitely get a winning hairstyle at this tony salon! Over the years, the hotel has developed into one of the most sybaritic and profuse properties, highly acclaimed throughout the world. 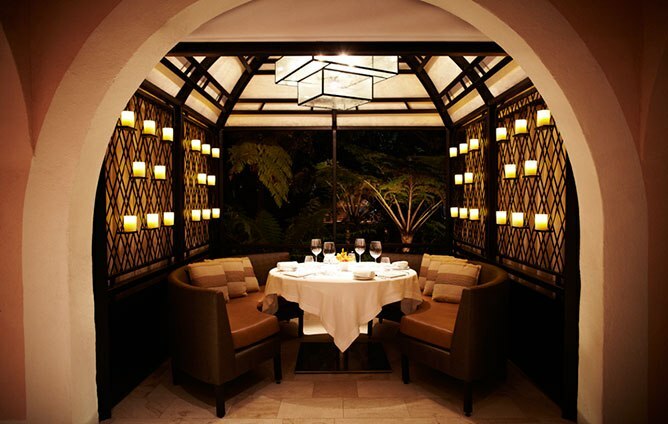 As the hotel and city have matured, Hotel Bel-Air’s original ambiance has remained intact. Some loyal guests are pleased with the new facelift, while others are reminiscing about this Grand Dame who has gone to the plastic surgeon and is now a bit too slick for her age. Whether you’ve been there before or are a newbie, it is still a must see beloved landmark in the shrinking style of true luxury and class in Los Angeles. 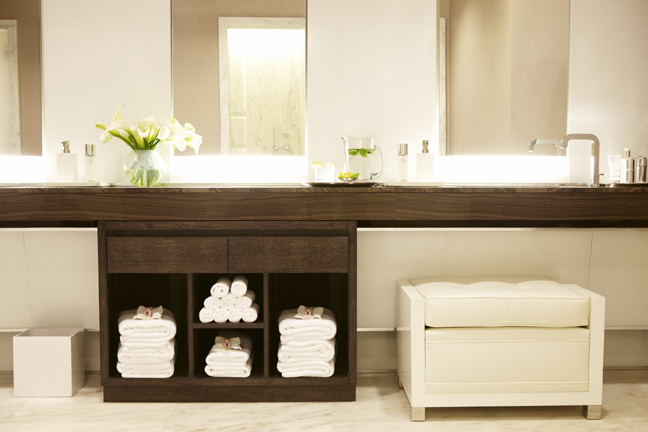 The makeover which took two years to complete boasts a new 12,000-square foot building with a fitness studio, loft guest rooms and a 4,134-square foot La Prairie Spa is a welcomed addition to this secret hideaway. 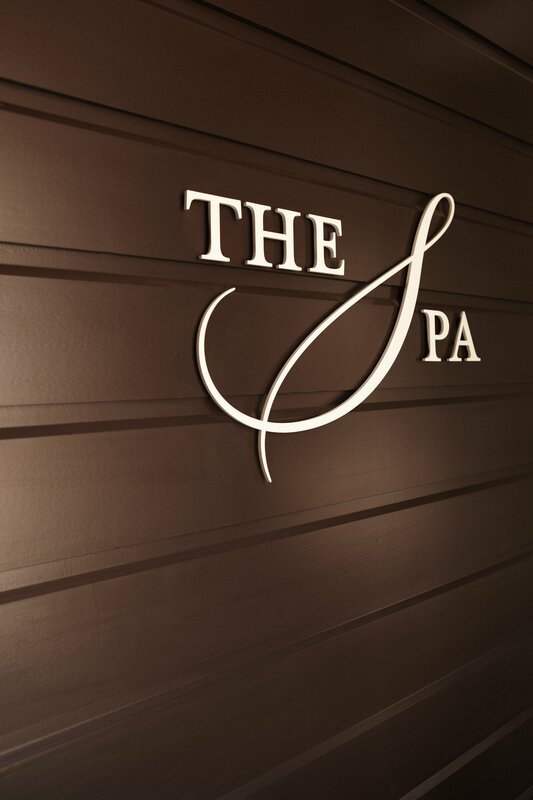 The spa menu is a rich array of luxurious treatments and offers the one of the most exclusive, coveted skincare lines in the world. “What could be more relaxing than the sensation of gently floating on the ocean? Not much. Well, that’s the feeling the Advanced Marine Biology Facial will give you. For most people, ultimate relaxation is the destination. This is achieved when your brain sends messages to your entire body to release tension. This release of tension causes the blood to flow more easily allowing detoxification to occur. As you lay on a warm water filled mat, muscle tension is released and circulation is increased. The skin is then transformed using sea-born elements found within La Prairie’s Advanced Marine Biology Collection which work to encourage cell turnover, detoxification, hydration and provide anti-oxidant protection” Joo-mee Song, aesthetician and beauty magician. Many guests fly across the globe to visit the hotel and spa. Locals swear by Joo-mee’s gifts and make up about 50% of the spa goers. 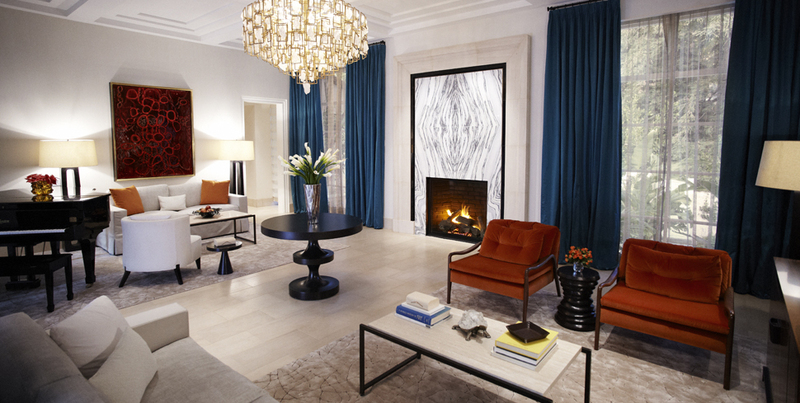 The Hotel Bel Air is so loved by it’s neighbors, all they have to do is walk down the street to get pampered. Many are high end celebs live in the tony neighborhoods of Bel Air, Brentwood and Beverly Hills and just need an escape close to home for some R&R. It is so hush-hush that the locals never tell anyone about it. 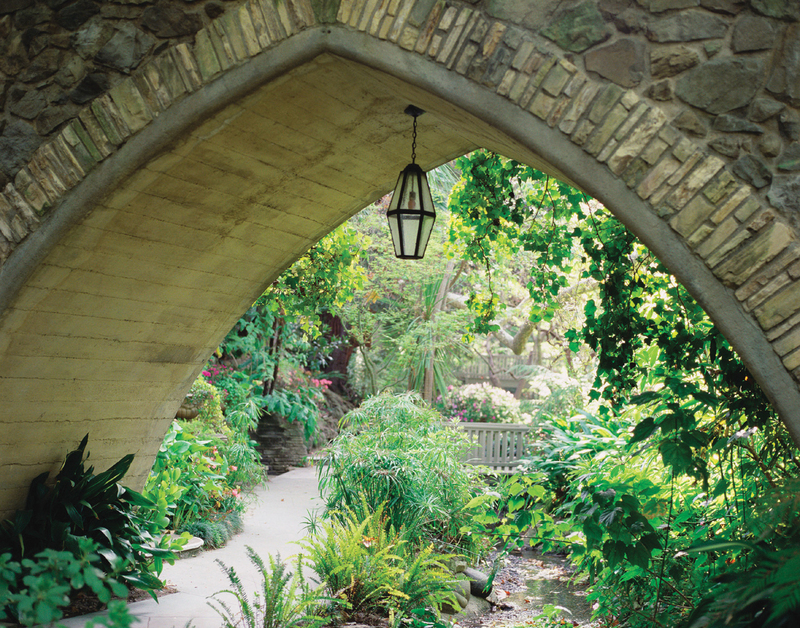 The Los Angeles glitterati want to keep this best-kept secret hideaway hidden from the maddening crowd. 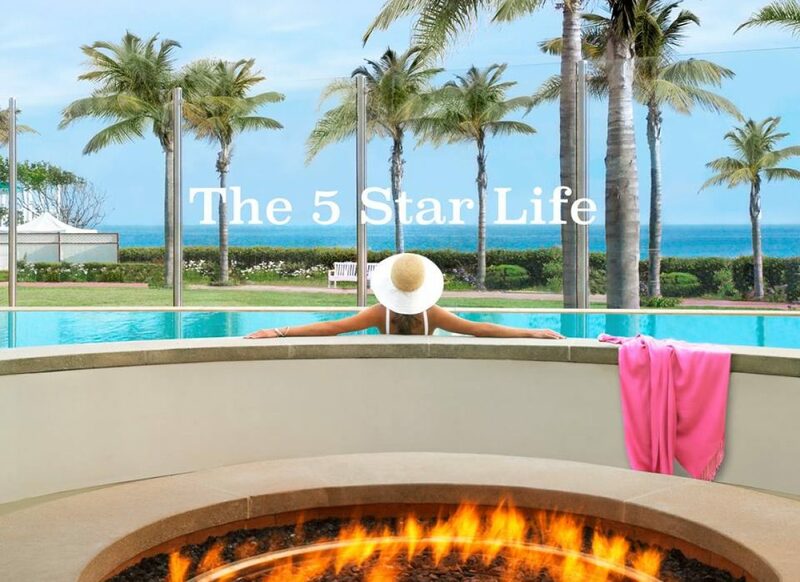 The most fitting description of this enclave of pampering, is from a star of the glam years, Tony Curtis (Some Like it Hot) who lived at The Hotel Bel-Air. 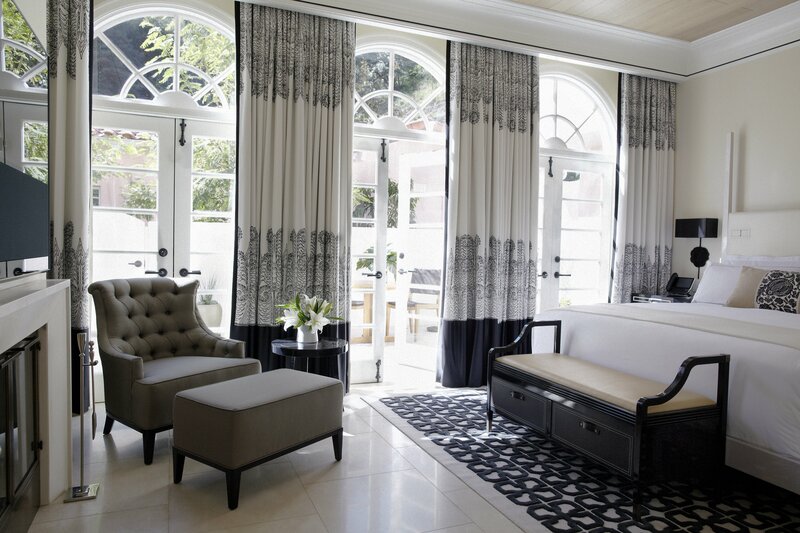 Pingback: The Hotel Bel Air: Every Guest Gets the Royal Treatment | Live the 5 Star Life Without Limits!